INSURANCE CLAIM WAS DENIED, RIGHT? No one likes being told “NO”, especially when you have paid for something and then your insurer says they are not covering that. Does this sound familiar: Yes you are current on your premiums. Yes, the policy is in force. Yes, you had insurance on the [house, car, boat, motorcycle, etc.] thing, but the insurer still says they are not going to cover the damage. How is that feeling right now? Fortunately, there is a path. Allow us to review your insurance claim denial. Many times there are provisions in an insurance policy, or under the law, which give you recourse to force your insurance company to cover the thing your insurance company said they would not cover. 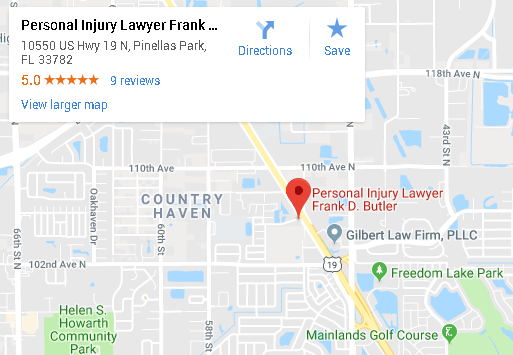 Generally speaking, in the State of Florida, if you force your insurance company to pay the claim they denied then the insurance company may have to also cover your attorney’s fees. The law is found under Florida Statute Ch. 627.428. This allows us to take cases where it would be too expensive for a client to hire an attorney. It is also a great equalizer where the insurer is able to hire attorneys to fight against you. YOU KNOW HOW THIS GOES. If you do nothing after your insurer denies your claim, then they are not going to do anything either. Right now the insurance company has told you “NO”. The ball is in your court. If you do nothing, they will do nothing. We fight against insurance companies. We are ready to fight for you now.